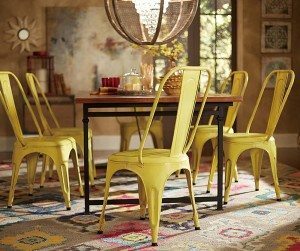 Meet a chair that’s always dressed up for dinner! 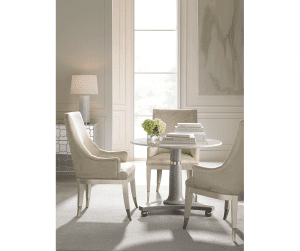 Versatile with a contemporary design, the chair offers the perfect at home feel in and style of decor. 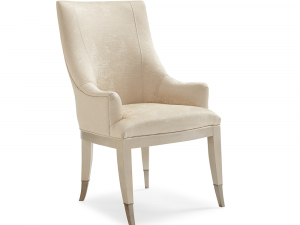 Fully-upholstered high back and seat in a soft neutral woven fabric. Shiny silver metal ferrules on legs. 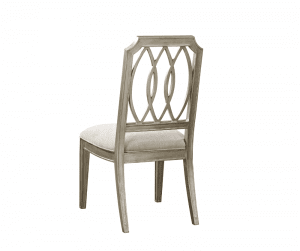 Effortlessly elegant, this stunning dining chair will lend an incandescent glow to any modern or contemporary dining room. 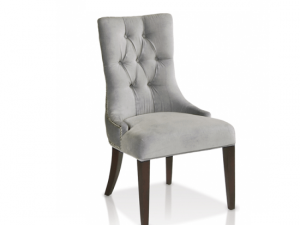 Upholstered in a gorgeous two-tone grey velvet fabric with button tufting. 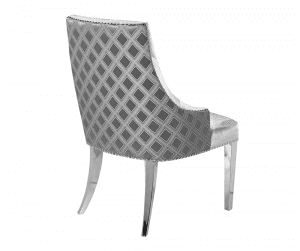 Available to order in alternate fabrics in bronze grey leatherette, pearl, grey velvet and light grey fabric at no additional cost. 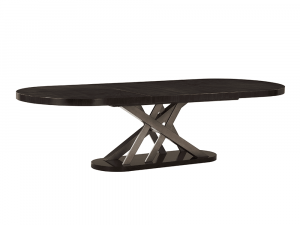 Available to custom order with espresso-finished wood legs. 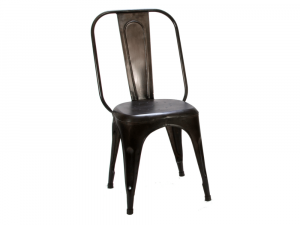 Get groovy with rustic metal side chairs! Available to order in-store in blue, red, rust and yellow colours, so you can mix and match at will! 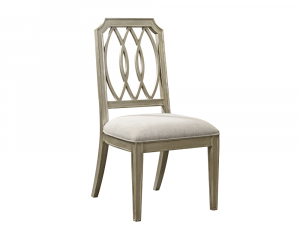 Featuring an innovative design, this sleek dining chair makes a great modern addition to your contemporary decor. 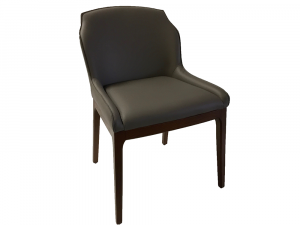 Upholstered in light grey leather. 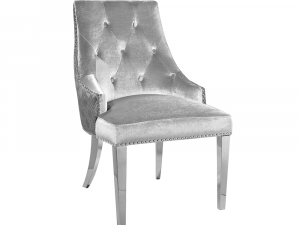 Available to order as an Arm Chair for an additional cost of $100. Aim to please. 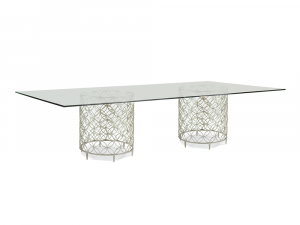 This stylish dining table features a gorgeous, geometric double-pedestal metal base. Aim to please. 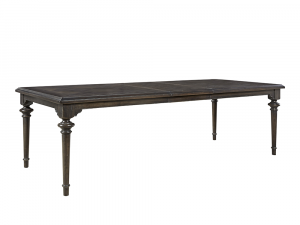 This stylish dining table features a gorgeous, geometric metal base. 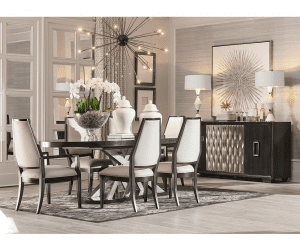 Shear elegance and a timeless design, comprised of swanky moldings and a glimmering finish, are what make the Amorose collection transcendent across a variety of home decor styles. 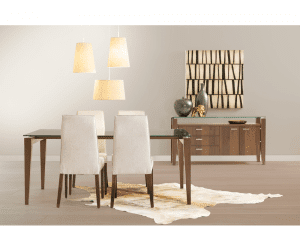 With its distinctively clean design, this modern day collection exhibits an excellent combination of wood and glass, crafted into a breathtaking work of art. 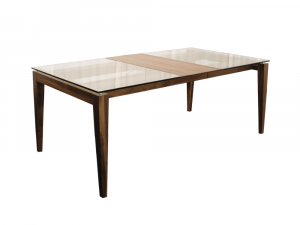 Easily paired with almost any kind of living space, this sturdy yet slender table features solid wood framework, in a beautiful walnut finish, and a floating top, made of glass and wood. 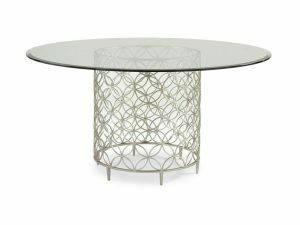 In addition, the table can be equipped with an optional 18″ extension leaf, allowing you to seamlessly expand for extra guests. 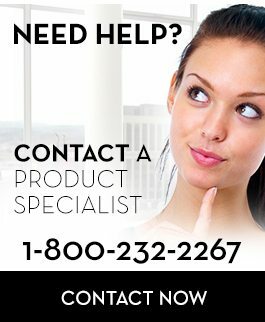 Available to order in alternate finishes at no upcharge. An urban crossover with metropolitan flair. 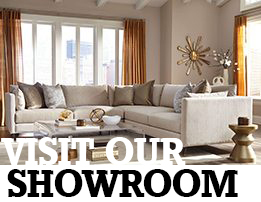 Features tufted back and fascinating faux wing design. 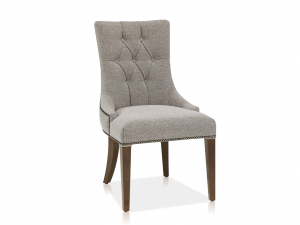 Shown here in a chenille grey fabric with same-as-body buttons, sable-finished legs and silver nailhead detailing. 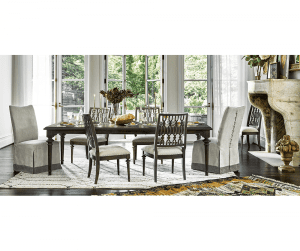 Shown here in a sandy hudson branch fabric with same-as-body buttons, walnut-finished legs and silver nailhead detailing.